Like most things in our world today, the environment for mergers and acquisitions in the real estate industry is in a state of flux. Mergers are described as an amalgamation of two companies on near-equal terms forming into a new legal entity. In reality, this does not happen – one company is always the dominant player, even though it is still called a merger. So, the discussion is really all about acquisitions, but M&A has a better ring to it. In the United States, after a number of active years of buying and selling, the two biggest acquirers of real estate brokerages – NRT (Realogy) and Home Services of America (Warren Buffet’s Group) appear to have applied the brakes to their growth spree. These two large entities competing for brokerages were largely responsible for driving up the multiples being paid to sellers. Multiples are a common methodology used to determine the fair selling price of a brokerage, which calculates a multiple of EBITDA (earnings before interest, taxes, depreciation and amortization); quite often the EBITDA is averaged over two to three years depending upon a number of factors. With both these giant players easing out of the competition, we are going to see some downward movement in the multiples being paid out. The Canadian market usually follows the trend in the USA. The “typical” multiple being paid today lies somewhere between two and four times earnings of a brokerage. The multiple is influenced by the available buyer pool, brand strength, concentration of sales, market conditions, corporate leadership, company culture and the overall competitive landscape. With John Peyton, the new CEO and president at Realogy Franchise Group, and Adam Contos named CEO of Re/Max LLC in February, big changes were expected as both these leaders have few ties to past legacy decisions in their respective companies. As a result, there appears to be a détente in regard to the old restrictive policy of not allowing owners to acquire competing brokerage brands. This fundamental strategic shift will definitely increase the available pool of brokerages for buyers. As a result of this policy change, it is probably safe to assume that Canadian franchisors will soon follow suit and soften their position on this restrictive ownership stance. Demographically, a large number of owners are starting to prepare for retirement and are looking to take equity out of the company. Traditionally, most buyers were interested in either a full 100-per-cent asset deal or buying the company stock outright for tax reasons. Peerage Realty Partners has a different view based on Miles Nadal’s deal methodology developed while in the advertising and marketing space. Historically, Peerage takes a majority stake in the businesses with the seller retaining some of their equity. This approach allows the seller to take some money off the table and still remain active in the business subject to their personal aspirations. The sellers are then provided with the financial and business bench support to further grow and expand the business. Sellers need to decide if they want to sell to investors that are new to the real estate business or if they want “professional partners” that have shared goals and will work towards a common outcome. 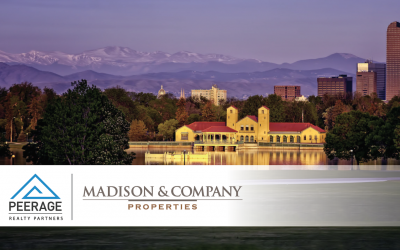 During the Deal Maker Conference in Denver in August, Steve Murray, CEO of Real Trends, revealed that private equity firms have started to seriously look at the real estate industry, mostly due to the success and media exposure from Redfin, Zillow and Compass serving up their massive market valuations. In Canada, we are not seeing the high multiples being paid for technology-centric real estate operations, as many often have no clear path to profitability, and also due to our smaller market size. In summary, if Canadian franchisors remove the ownership restriction for different brands, this should translate into a larger pool of available brokerages for buyers. Logically this change makes sense, as you would think a franchisor would want the best operators in their organizations, even if they operate different brands. Many owners have retirement in their purview. Combined with the slowing market conditions, tighter profit margins and this possible policy change, the Canadian M&A real estate market is very likely going to be very active in the years ahead.